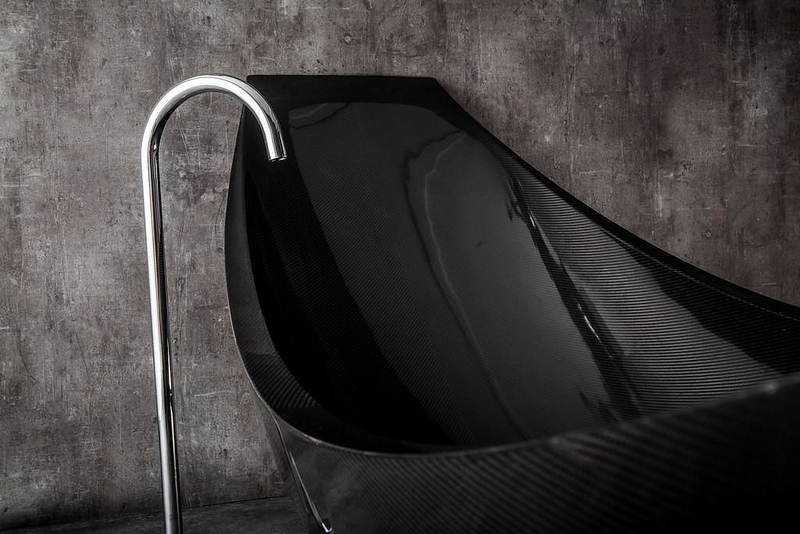 HomeBlogHome DecorVessel Hammock Shaped Carbon Fiber Bathtub by Splinter Works. 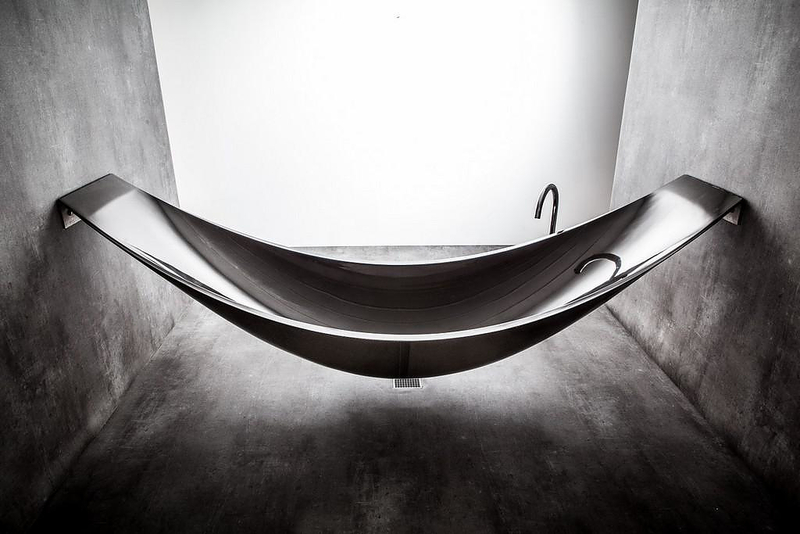 The Vessel Hammock shaped carbon fiber bathtub by Splinter Works is an image of ultimate relaxation, high end technology and minimal design. 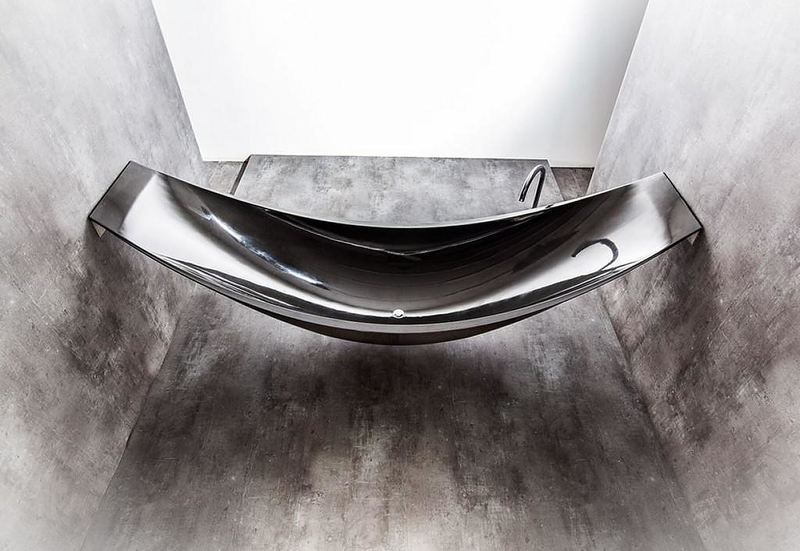 Made of carbon fiber, the elegant, sleek and breathtaking Vessel Hammock Bathtub is an object of luxury and pure pleasure to the eye. 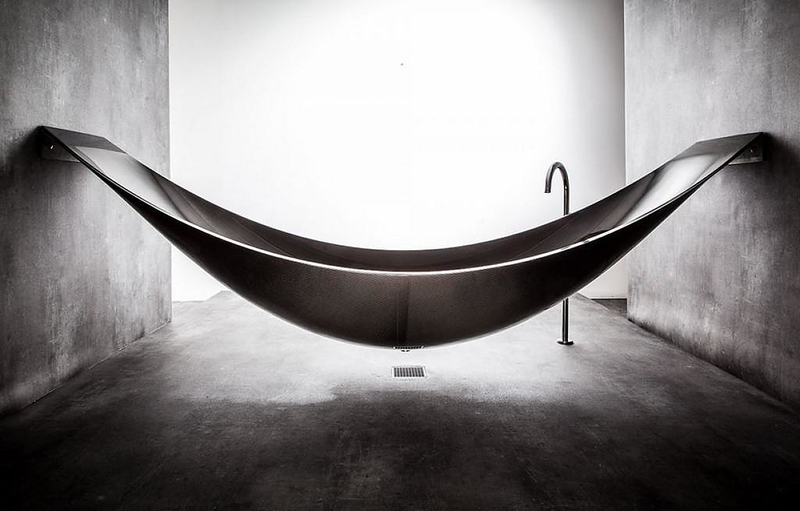 When we look at a picture of a filled bathtub the first thing that comes to mind is relaxation and rest. The same thought passes through our heads when we see a picture of a hammock in a sandy beach. 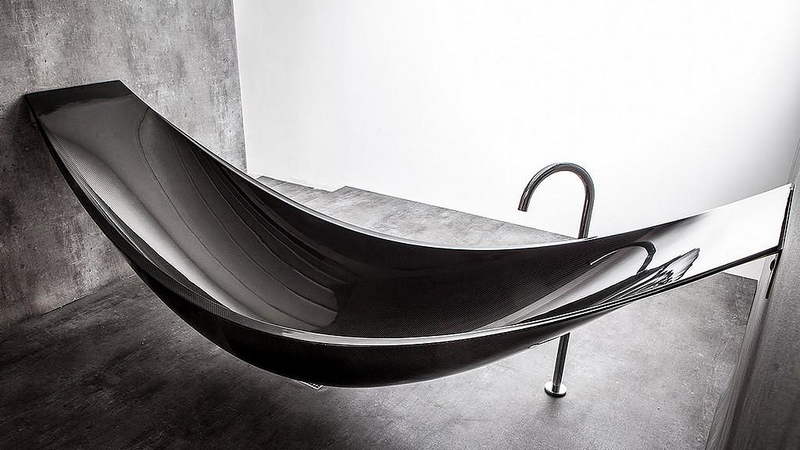 It is no surprise that someone designed a combination of the two objects and created the Vessel Hammock Bathtub. 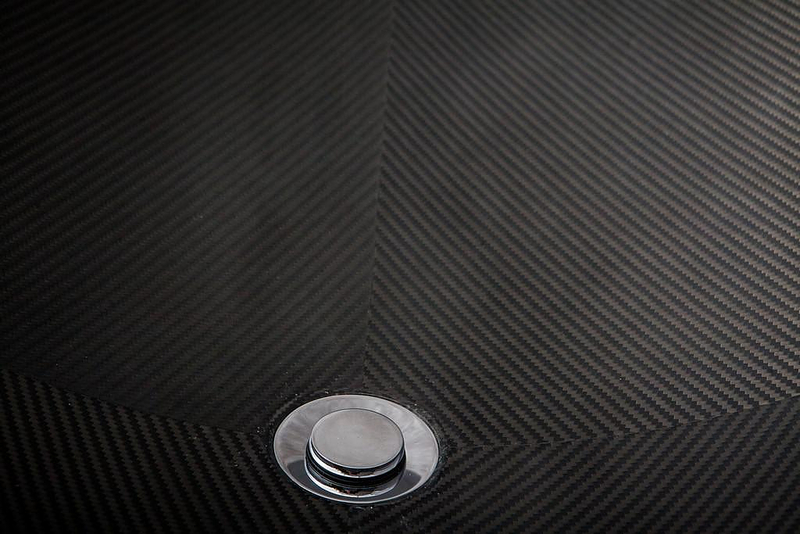 And what material would be more ideal than the light high-end technology carbon fiber? 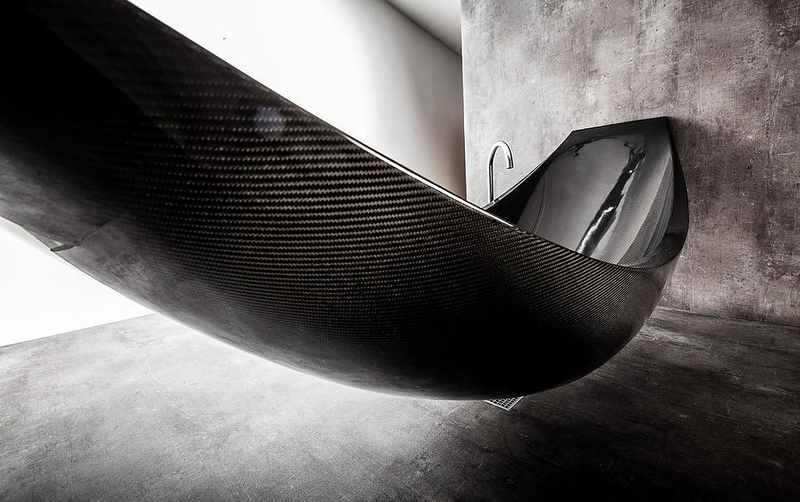 This striking carbon fiber bathtub is suspended above the ground and fixed between walls to provide a nest to retire and escape from stress. 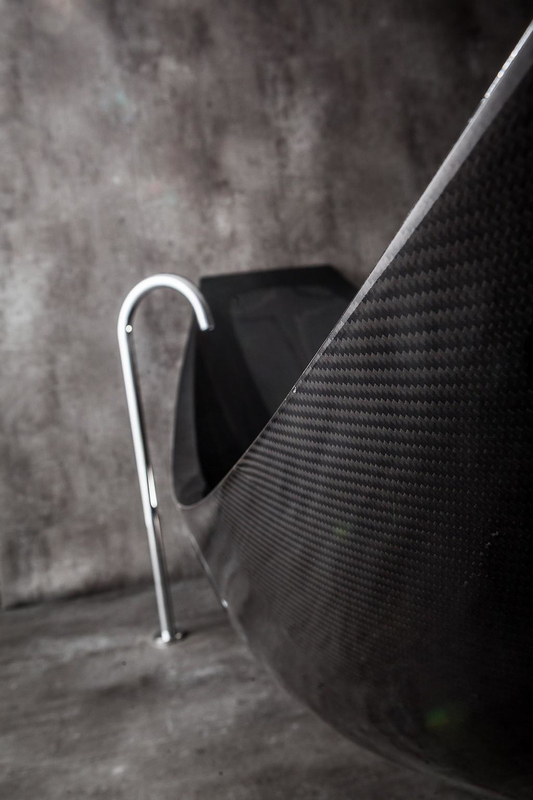 The unique shape could come to reality thanks to the use of carbon fiber, a material which is rigid, feather-light and, therefore, hang-able. 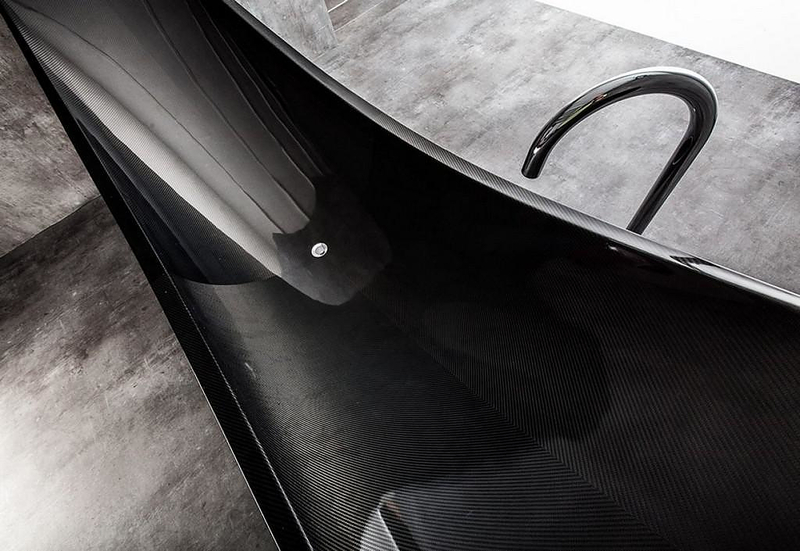 Inside the core of Vessel Hammock bathtub’s walls lies insulating foam material that helps maintaining the water warm. 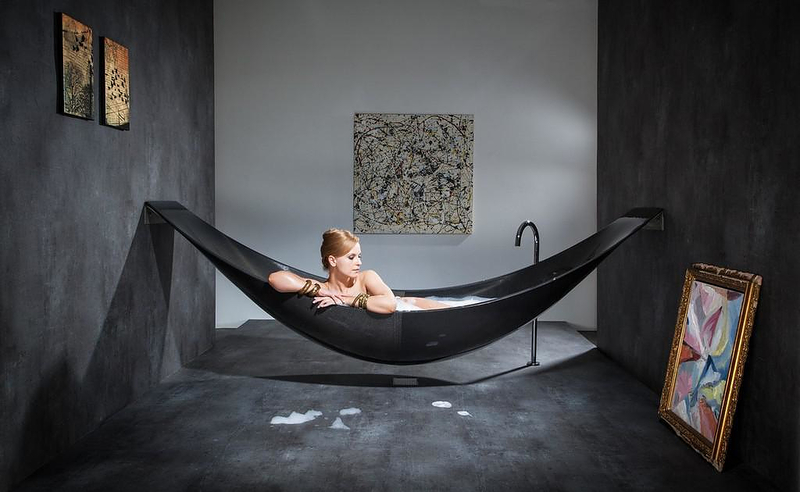 The Vessel Hammock Bathtub is large enough for two people and available in black, red, blue, yellow, pink, bronze and silver colors. Of course it comes at a price for few lucky ones. 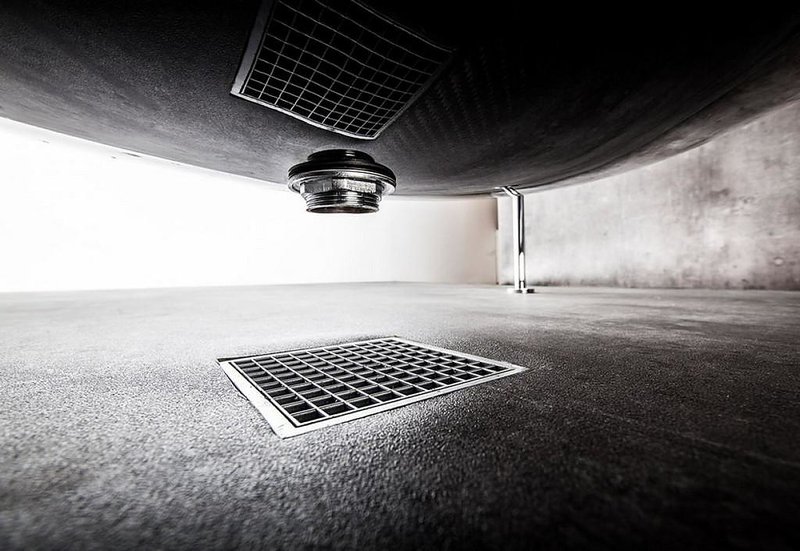 Splinter Works was formed in 2009 and is a collaboration between Miles Hartwell and Matt Withington. Their mission is to create sculptural furniture that is engaging and inspiring. Splinter Works strive to enrich the lives of the people who use our furniture, by creating pieces that enhance their environment and elevate the experience of everyday life. Their work is individual, thought provoking, aesthetically beguiling, intelligently designed and a delight to use. 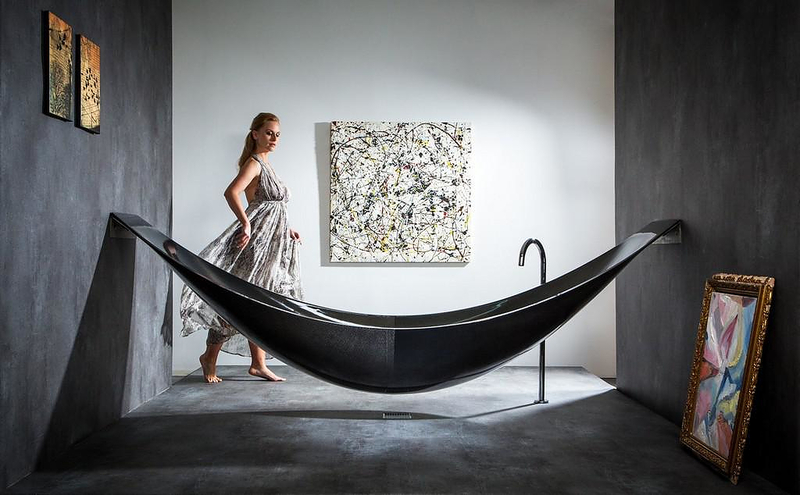 Their designs like the Vessel Hammock Bathtub are theatrical and play tricks especially when balance comes into question, while maintaining the functional aspect in high priority. 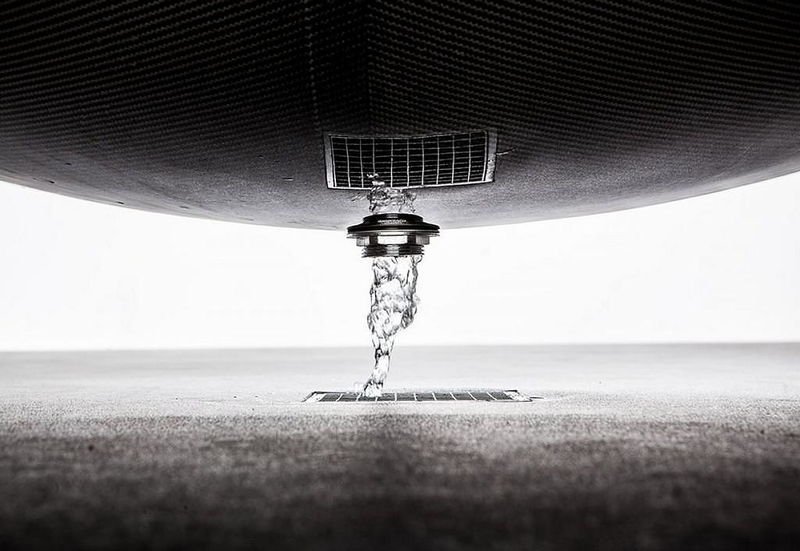 Opposing dichotomies of solidity versus weightlessness, motion versus stillness, and strength versus fragility are played out in their ambitious designs through innovative materials.